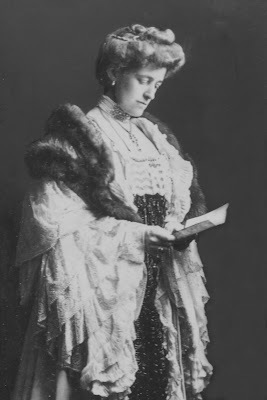 This weekend marks the seventy-sixth anniversary of the death of Edith Wharton (January 24, 1862-August 11, 1937). Though she spent much of her adult life living outside the city, Wharton was born and raised in New York and returned to it again and again in her novels and short stories. 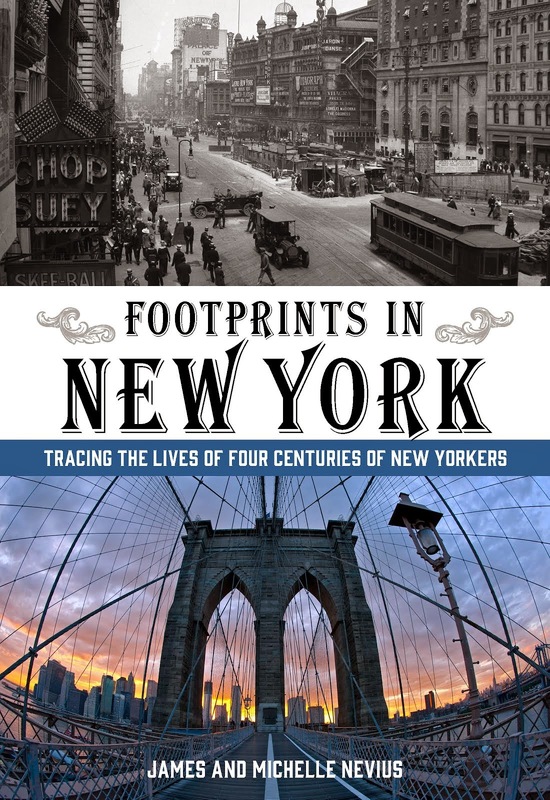 We've been doing a lot of Wharton reading in preparation for our next book, Footprints in New York: Tracing the Lives of Four Centuries of New Yorkers, which is due out next April (save the date!) from Lyons Press. Though most people are familiar with Wharton's great New York novels, such as The House of Mirth and The Age of Innocence (which made her the first woman to win a Pulitzer Prize for literature), many of Wharton's stories also concern life in the city, including her very first published tale, "Mrs. Manstey's View," which came out in July 1891. The story concerns a widow, Mrs. Manstey, who lives in a third floor room of a boarding house. Her husband has been dead for seventeen years, and her daughter has married and moved to California "so many years [ago]...that they had ceased to feel any need of each other's society." Mrs. Manstey is cordial to her fellow boarders, but keeps most people at a safe remove. She is, in Wharton's words, "lonely if not alone." [She] looked out first upon the yard of her own dwelling, of which, however, she could get but a restricted glimpse. Still, her gaze took in the topmost boughs of the ailanthus below her window, and she knew how early each year the clump of dicentra strung its bending stalk with hearts of pink. But of greater interest were the yards beyond. Being for the most part attached to boarding-houses they were in a state of chronic untidiness and fluttering, on certain days of the week, with miscellaneous garments and frayed table-cloths. In spite of this Mrs. Manstey found much to admire in the long vista which she commanded. Some of the yards were, indeed, but stony wastes, with grass in the cracks of the pavement and no shade in spring save that afforded by the intermittent leafage of the clotheslines. These yards Mrs. Manstey disapproved of, but the others, the green ones, she loved. She had grown used to their disorder; the broken barrels, the empty bottles and paths unswept no longer annoyed her; hers was the happy faculty of dwelling on the pleasanter side of the prospect before her. In the very next enclosure did not a magnolia open its hard white flowers against the watery blue of April? And was there not, a little way down the line, a fence foamed over every May be lilac waves of wistaria? Farther still, a horse-chestnut lifted its candelabra of buff and pink blossoms above broad fans of foliage; while in the opposite yard June was sweet with the breath of a neglected syringa, which persisted in growing in spite of the countless obstacles opposed to its welfare. How many New Yorkers have stared out their windows and marveled at the views--hidden to passersby on the street--of a secret world behind the buildings? The whole story is worth a read--it's quite short--and we're looking forward to sharing more of Edith Wharton's view of the city when Footprints in New York comes out in the spring.